Gabriel Cosmetics Inc. Dual Powder Foundation Tan Beige is a velvety plant-based formula performs both as a foundation and powder for a smooth matte finish. 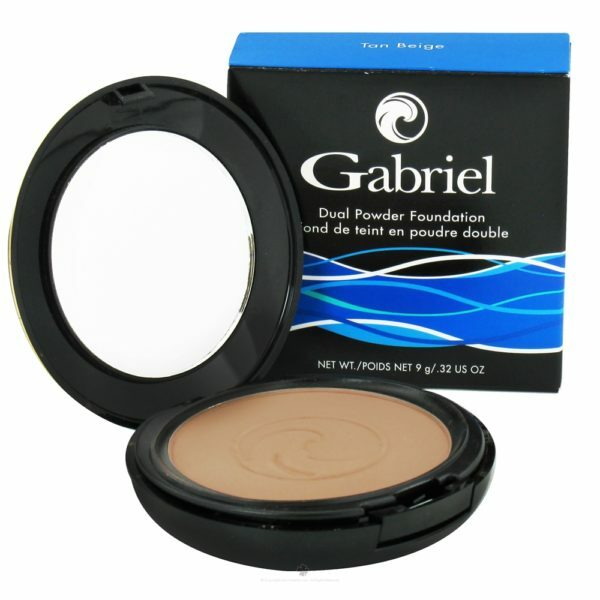 Gabriel Cosmetics Inc. Dual Powder Foundation Tan Beige is a velvety plant-based formula performs both as a foundation and powder for a smooth matte finish. When applied with a dry sponge, it creates an ultra matte finish or use a moist sponge for a sheer, fresh appearance. Formulated to help minimize shine and absorb excess oil without clogging pores or drying skin. Contains proven antioxidants for superior protection against environmental damage. A non-chemical PABA-free sunscreen has been added to shield skin from harmful sun exposure.